Looking for an inexpensive and quick way to add some Valentine love to your home? Landee has got you covered! 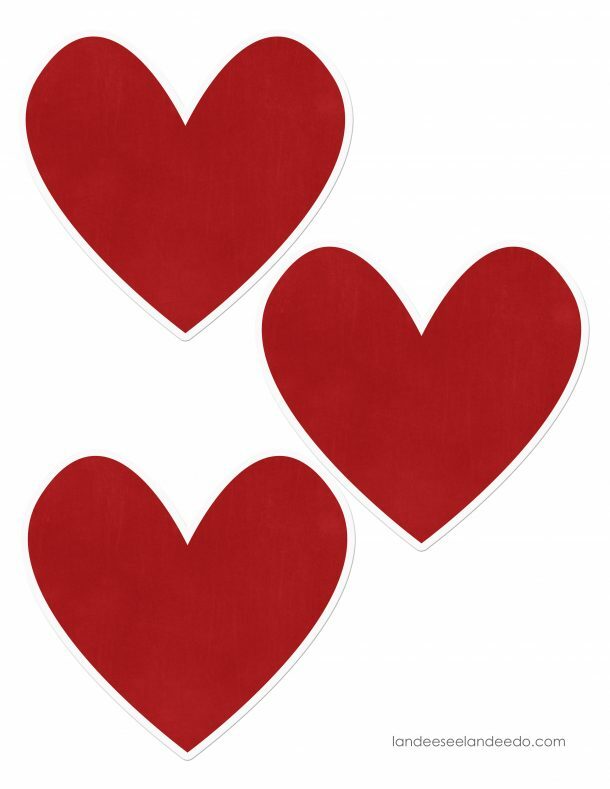 Red & grey heart printables. Download Grey here and Red here. 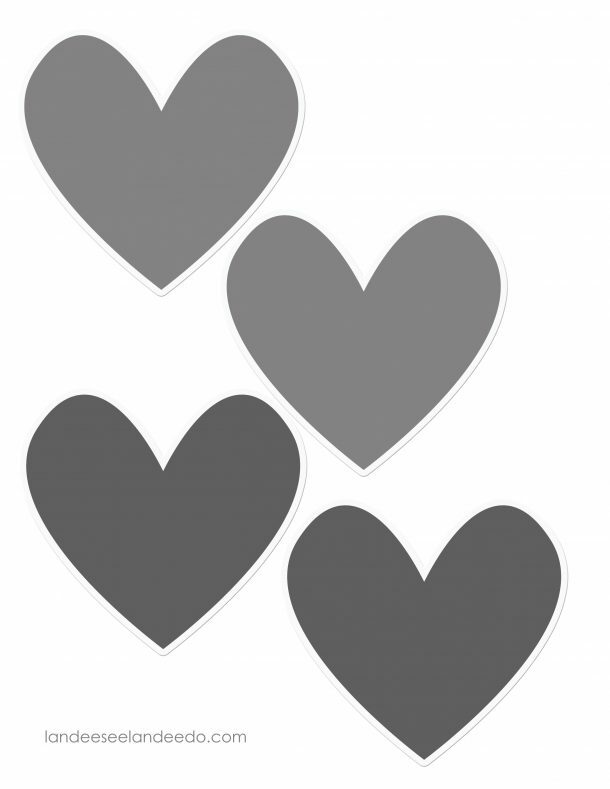 STEP ONE: Print out hearts on white cardstock and then cut them out leaving a 1/4 inch white border around the edges. STEP TWO: Hang your twine. STEP THREE: Using the miniature clothes pins, clip the hearts along the twine any way you’d like! If you don’t have a mantel you can string them across a window or a shelf or a large mirror. Endless possibilities! And its length depends on how many hearts you have so print off as many as you need to fill your space! Wow, the mantel looks wonderful. I like that you put your wedding photo as part of the display. So sweet. I really like your heart garland too.Thanks for sharing. Thank you! I have all sorts of ideas for these cute little hearts. It looks awesome! I love the heart garland and your wedding picture adds the right touch. Love it! I love! I love your whole mantel – the gray and red is adorable! Super cute! I love it! Thank you for the beautiful idea and printable! I love the whole vignette and am definitely pinning it! SO CUTE! I love the grey! I love this garland, many thanks for the printable! This is darling! I am featuring it on my blog tomorrow! I need to know where you go the red picture frame for your wedding photo? Love it!